Have you ever seen someone in your day-to-day life, when you're out to eat or shopping with your family that has given great service? If you're a small business owner, you'd love to see them or someone very similar in your organisation. 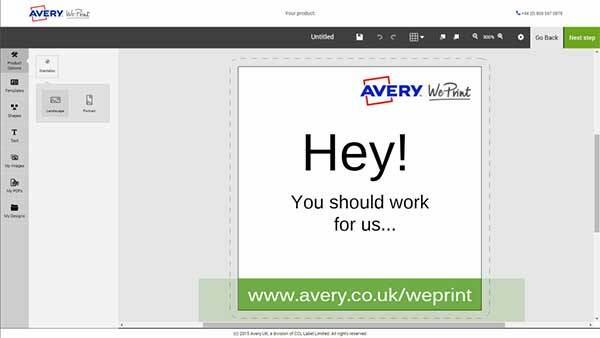 Well, with our business cards, you can get them interested in your business straight away. Not sure about recruitment cards? Well, they could look as simple as this. 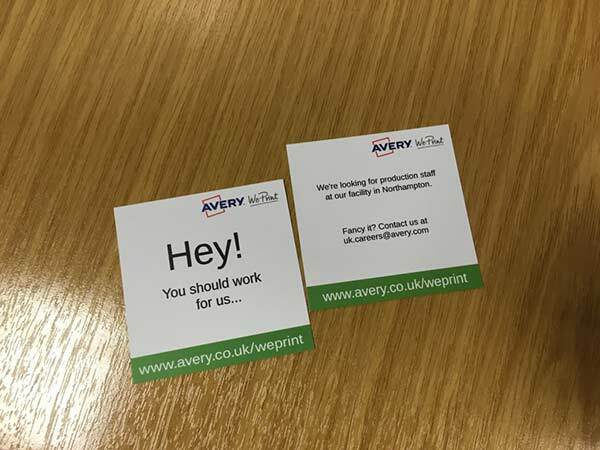 We used our double sided square business cards as a memorable card for potential applicants to receive. Not sure about how to get started? Think about what type of job vacancy you're looking to fill. We're looking for some production staff in our facility in Northampton, so we made sure that this was a big statement on the card. We also wanted it to be eye-catching. The cheeky "You should come work for us" was inviting enough to grab people's attention. We made sure to include contact details via email & a link to our website for receivers to get a better understanding of the business. We've seen a lot of companies use this as a way to show potential candidates that their business is the perfect place to work. A good tip would be to include the type of skill set you're looking for. For example, including the daily software you'd need the candidate to work with or the location of the company. Anther important aspect is to think about the card. We wanted to make sure the card look simple enough to get the important content across, but still memorable enough. Therefore we chose the square double sided business card. It still fits perfectly in a wallet or purse but it's still different from a normal 85 x 55mm business card. This is a great way to get people thinking about working for your business. Plus you don't have to rely on online job boards. If you see someone doing great work, you can let them know that they'd be a great fit for your business. Perfect for smaller businesses looking to expand!